Can it be that easy? 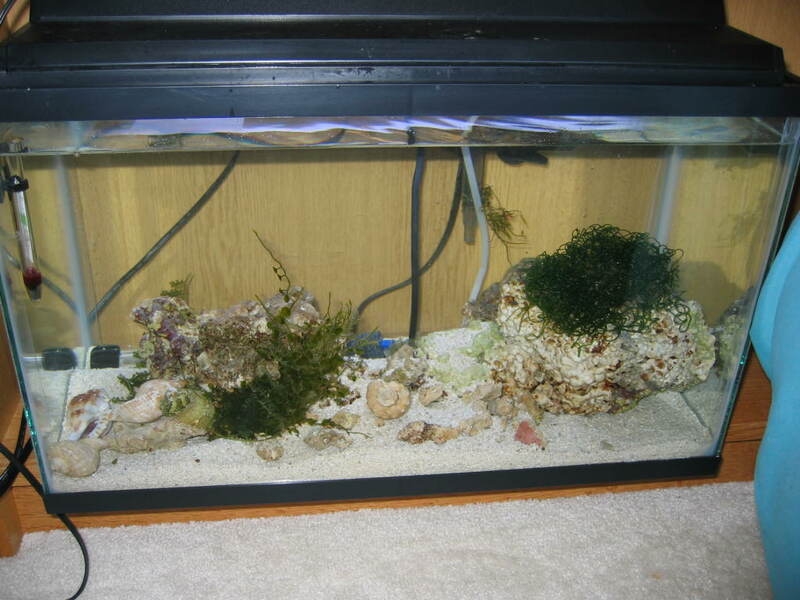 Did anyone did this , I'm setting up a macroalgae tank with sand bed and LR. 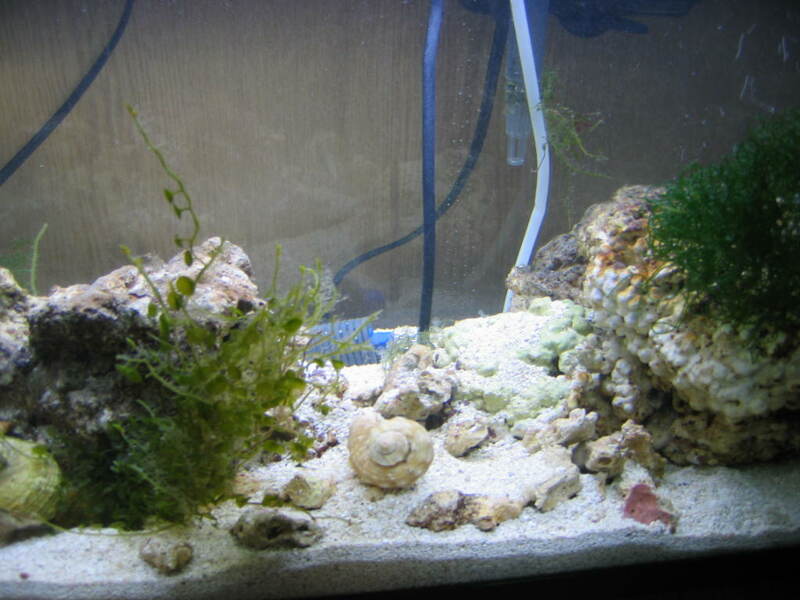 But i though i had to wait for the cycle to end before adding the macroalgae. Any comments thanks. ammonia can kill macro algae, i would wait. there shouldn't be any excess nutrients in the tank yet anyway. Ok thanks, another question; i've already put some LR and sand (Aragonite) in; some say i should put miracle mud in which seems like a good ideal now that i've red its vertues. But it suppose to be under the sand.What would happen if i where to put some mud on top of the sand and cover it with extra sand. My sand bed is only 1 inch now, so i can go for 4 inch like they suggest. what do you think. since the tank is just set up,you could remove the sand bed and put the mud under but let me ask why you want to use the mud??? what is the purpose of the tank?? what types of macro's are you thinking of? Ya i was thinking of that today . 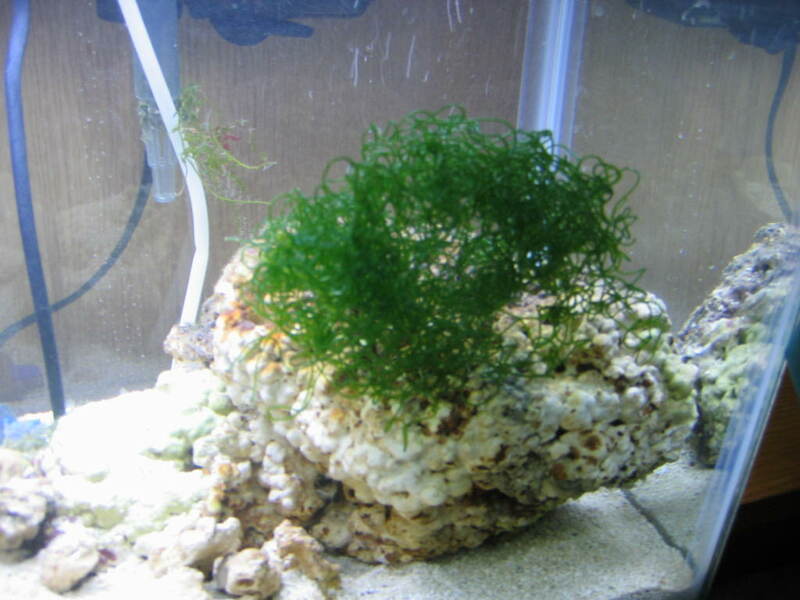 Ok the reason Ok my project is to build a small macroalgae tank. want it to be alone, producing different kinds along with all the little critters thati will harvest at my pleasure, and share some with other aquarist of my region. Snails , copepods, Amphipods , A paradise for those guys. I was even told by some one that would be perfect for seahorses in the future, kinda like that ideal. But first the algae tank. It will contain, Mud , aragonite and finer sand. From the article i red The bacteria in each substrate works differently and at different speed. In the mud they are slow, and faster in other medium. That attrack different kind of worms and crustacean. Different kind of food and a mixed of macroalgae produce better diversity in the biomass and can absorb more toxins, and compounds( nitrate, amonia,phosphate) That why you can mixe a greater variety of plants because different medium releive the competition and stress between species, anyway that what the science digest said.Never said how to build it thoug! I red about DSB 4 inch at least, i red about sand being a nitrate trap,better to use mud or a mixed of it low flow medium flow , all these articles and more and at the end very confusing and even. Ok anyway thank for the time you took to answer.If anyother trics or suggestions keep them comming. very interesting idea, i hope you will keep us updated with a few pics as you go. i have read that you should put a layer of fine sand under the mud and another on top. i wonder about disturbing the sand / mud bed when harvesting the macro? what type of lighting were you planning on? do you have another tank to get 'dirty' water from or use water changes or feeding / dosing to provide the nutrient they need? Well for the lighting i will go for a weaker light. Everybody complains that some grow too fast and take over; well if everybody where to put on their thinking cap; reducing lighting will slow down photosyntheses and growth. as for nutrients i think i'll kep a tight leach on those as well just enough for maintaning, not a production i got 2 tanks i can get nutrients . in those condition i can controle the dam things( hopefully) Ya for sure pics will follow. But will be leaving home for my job and will continue the experiment when i get back in about 45 days. Ya i know a wierd job. By the way i bought a microscope with digital lens, will show the littles critters and what they look like. Plus the bugger like B worms and the like which will show up i'm sure , a good study of the ecosystem. Will make a good report on the sujet in a memorendum somewhere. I got a question for you, what other fish than a tang eats macroalgae. Ok day 4 of the all algae tank, still waitting on that mud to arrive, will have to redo the tank by putting the mud first then the aragonite and the fine sand last with the LR. Got some algae already in, since it seem to survive according to some of you. in time, that ball of spagetti macro ( cheato ) will take over and cover the entire top of the tank.. it will look real cool. if you add some LR in there, you will have tons of pods nesting in the cheato. Putting a tank over a carpet?? ?